The Indian government recently announced three major decisions like new scheme for Rebate of State and Central Taxes and Levies on the export of garments and made-ups; scheme for development of knitting knitwear sector; and reduction in Hank Yarn Obligation from 40 per cent to 30 per cent of the total weaving yarn produced for domestic consumption. Even the Tamil Nadu government announced its new integrated textile policy of late. Apparel Resources discussed with the industry to know if the latest moves had any impact on the sector? We also quipped how were these decisions going to impact them as a part of the industry? We also asked how competitive they were going to be with these announcements? The opinion was divided SME still not much positive. No doubt, all the decisions taken by the Government in the recent one or two months have been really good and our industry was demanding for all these from a long period. I hope that these announcements are not just political… all should be executed properly and timely. Nobody knows how the new Government will act on such policies… what will be the priorities of the new Government? At that time, we will have high season also. As far as positivity or growth is concerned due to these issues, I must say that it is too early to say about the real impact. As of now, there is nothing like sentiments are up or subdued as we are passing through low season. So currently for us, it is just about waiting and watching. But for sure, the Government deserve appreciation for these announcements. Yes, more or less, some benefits must be there, but so far, it is too early to say about these benefits or competitiveness, as apart from these announcements, there are so many things which will have an overall impact. Business is currently okay and there is hope that it will improve further. Whatever, any support in the form of positive decision is welcome. 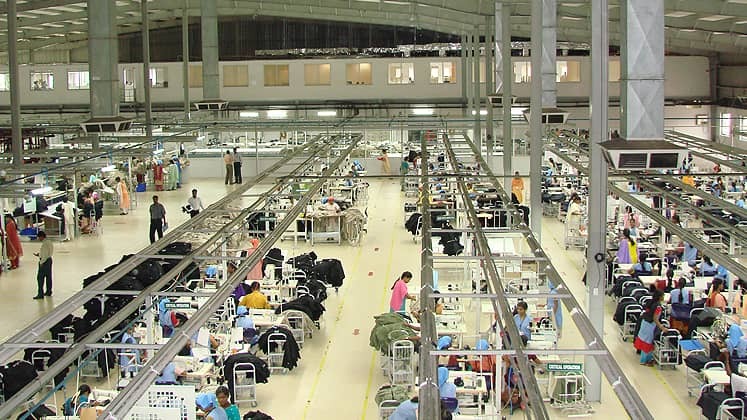 We have to see these announcements or things from an individual perspective like Tirupur, known for comparatively volume business, which will be gaining from the special package for the knitwear sector and integrated textile policy for Tamil Nadu. There are many vertical integrated companies, so they will be more than benefited from hank yarn obligation… Now coming to Delhi-NCR, we are mainly into value-added garments and small orders. Here wages are already maximum and overheads which are not in our control like fix electricity charges, logistic expenditure, fees of CA, have increased a lot in recent years. And further they seem to be growing even higher. In all these conditions, little support from Government can’t bring in more positivity, at least for Delhi-NCR-based SMEs like us. Whatever points you have mentioned are majorly still on paper. Big exporters will definitely get benefits from all these, but SMEs like us will not get much as usual. Talking in general about all the schemes, there is still so much corruption that small companies like us have to take the support of agents, touts or experts. And indeed, we don’t get any major benefit irrespective of any schemes or announcement. Let’s take it point-wise. The first point that you raised is the Rebate of State and Central Taxes and Levies on the export of garments and made-ups… So far, we used to get 1.8 per cent duty drawback and somewhere around 2.2 per cent ROSL. Rates under the new scheme are not informed so far but I don’t think that it will be as per our expectation. Even if we get somewhere a total of around 5.5 per cent, currency fluctuation will be killing this little relief. Just a few days back, I booked an order, and at that time, Indian Rupee was 71.70 against US $ 1 but now it is 69.85 against the same, so literally, I don’t have any gain. Can’t our Government fix currency at least for exporters and for a few months? After all such kind of system is there in China. Hedging is not a good option for exporters like us. The second thing is the delay in RoSL. We get duty drawback just 15-20 days after completing all processes while refund under RoSL is delayed for long. Why it is so? Things definitely need to improve on this front. The other points that have been mentioned are specific to sectors be it knitting, textile or state-specific, while we are only into woven. So we will not be getting any new thing. But I must appreciate that all these announcements are going to support the industry, no matter to whom and how much. Our Government is only making announcements, but not implementing them. We are doing business here, but finding it really hard to survive with such negligible support. At every stage, there are people asking for money. If it goes on like this, then we will have to surely shut the factory and have to do something else. ‘Make in India’ will remain a distant dream unless the Indian Government carries out vigorous labour reforms. Even Bangladesh has a proper labour law. India has all the capabilities to become the No.1 exporter in denim, only if the Centre supports us. Bangladesh is a small country, but it is doing really well in this sector. I personally feel that the Hank Yarn Obligation scheme has lost its relevance in this changed scenario. No other countries has such obligation in the world, including Pakistan and Bangladesh, but India is still carrying the burden with 30 per cent, which was earlier 40 per cent for spinners and increasing yarn prices for the country weavers. The Centre should rather consider removing this, which will make the yarn sector competitive.